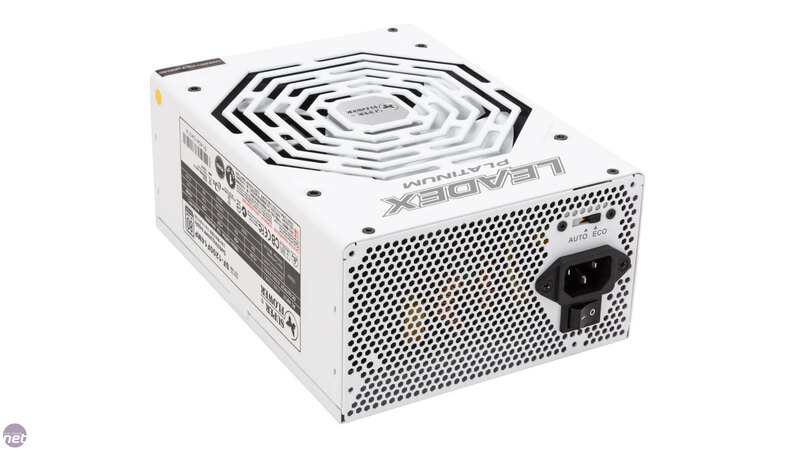 Overclockers.co.uk exclusive Super Flower brand of PSUs has had us enthused in the past and this time around it manages to deliver again. 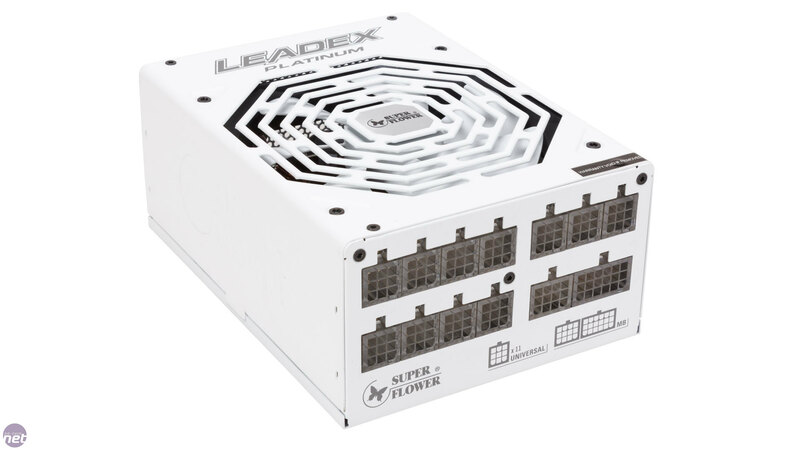 We got an attractively designed, fully white Leadex Platinum 1200W to test, which at £180 is the cheapest model we received. Nonetheless, it is 80 Plus Platinum rated and somehow seems to be designed exactly right. 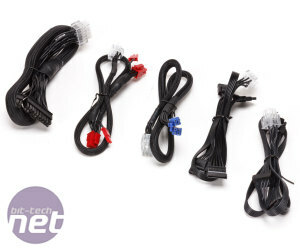 Five Molex and 10 SATA connectors may not be the largest amount in this round-up, but we’d be hard-pressed to come up with a reason to need more, while eight 6/8-pin PEG plugs do make sense, even if few people will actually install four graphics cards. 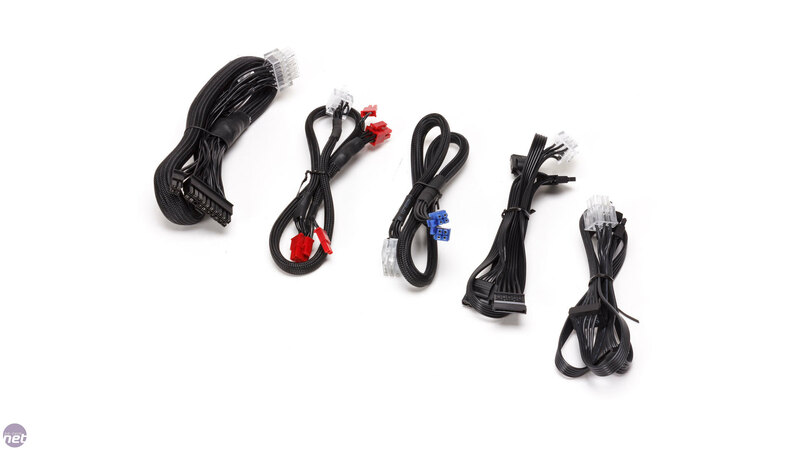 The cables are all more than long enough, ensuring you can manage even the largest of cases – we really appreciate sufficiently long ATX and CPU cables. A nice detail is the light at the modular connection points, making installing an extra cable in a dark case that much easier. 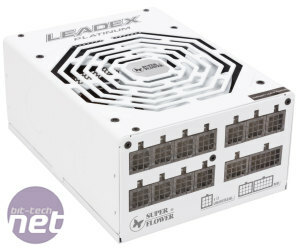 Looking at the test results, the Leadex Platinum delivers stable voltages at maximum load, with an astonishingly low ripple that peaks at just 10.2 mvPP. 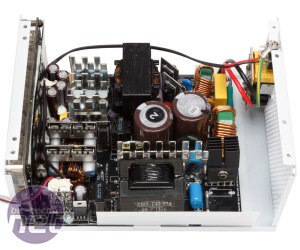 It's as if it were made for overclockers, which rather makes sense given its provenance. 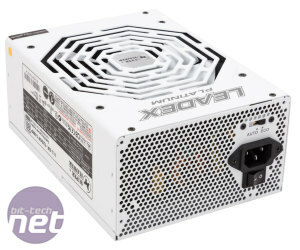 At the same time, the efficiency is close to 91 percent (90.79 percent to be exact) and the sound production is blissfully quiet as even at 500W load the fan does not spin up. 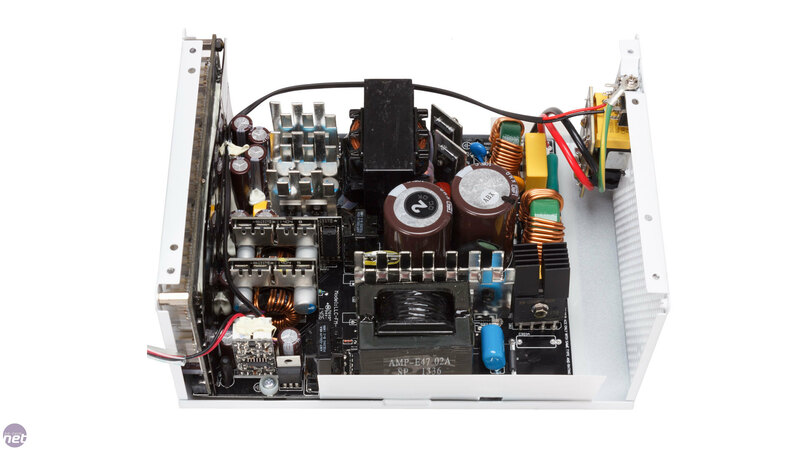 Mid-range models stretch to 1KW.